At the staid Marcia Blaine School for Girls, in Edinburgh, Scotland, teacher extraordinaire Miss Jean Brodie is unmistakably, and outspokenly, in her prime. She is passionate in the application of her unorthodox teaching methods, in her attraction to the married art master, Teddy Lloyd, in her affair with the bachelor music master, Gordon Lowther, and - most important - in her dedication to "her girls," the students she selects to be her crème de la crème. Fanatically devoted, each member of the Brodie set - Eunice, Jenny, Mary, Monica, Rose, and Sandy - is "famous for something," and Miss Brodie strives to bring out the best in each one. Determined to instill in them independence, passion, and ambition, Miss Brodie advises her girls, "Safety does not come first. 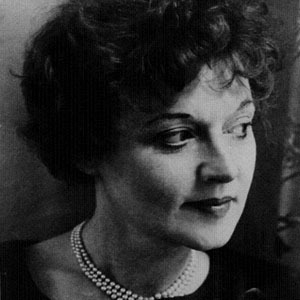 Dame Muriel Spark, DBE was a prolific Scottish novelist, short story writer, and poet whose darkly comedic voice made her one of the most distinctive writers of the twentieth century. In 2008 The Times newspaper named Spark in its list of "the 50 greatest British writers since 1945". Spark received the in 1965 for , the in 1992 and the in 1997. She became Dame Commander of the Order of the British Empire in 1993, in recognition of her services to literature. She has been twice shortlisted for the , in 1969 for and in 1981 for . In 1998, she was awarded the by English PEN for "a Lifetime's Distinguished Service to Literature". In 2010, Spark was shortlisted for the of 1970 for Spark received eight honorary doctorates in her lifetime. These included a Doctor of the University degree (Honoris causa) from her alma mater, Heriot-Watt University in 1995; a Doctor of Humane Letters (Honoris causa) from the American University of Paris in 2005; and Honorary Doctor of Letters degrees from the Universities of Aberdeen, Edinburgh, London, Oxford, St Andrews and Strathclyde. Spark grew up in Edinburgh and worked as a department store secretary, writer for trade magazines, and literary editor before publishing her first novel in 1957. , considered her masterpiece, was made into a stage play, a TV series, and a film.